The biggest misunderstanding is that the orchid is difficult to care for. She is just that easy! With some extra attention you can enjoy your orchid for a long time. And of course, the thousands of different types of orchids do not all shine with the same care. Yet there are some general tips that make most orchids happy. You can go a long way with the guidelines below. 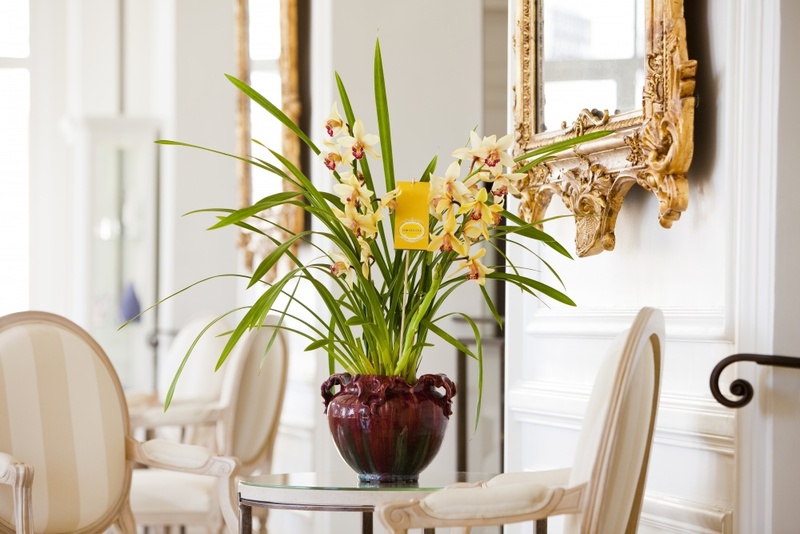 Ask for specific tips when you purchase your Cymbidium. 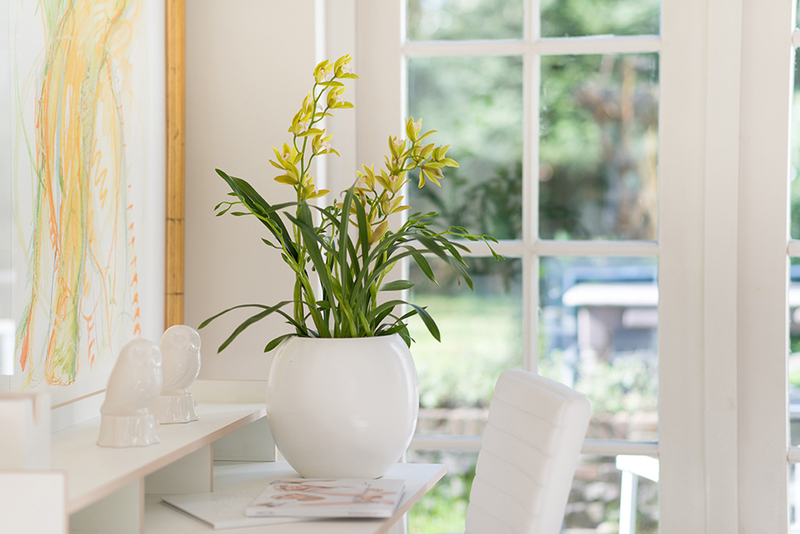 Give the OrchiDiva® a light spot, but do not put it in direct sunlight. In the summer she likes to show off on the terrace (in the shade). The OrchiDiva® thrives well at a daytime temperature between 15 and 20 degrees Celsius and a night temperature between 10 and 13 degrees Celsius. Water the OrchiDiva® approximately once a week, preferably rainwater or low-lime water. 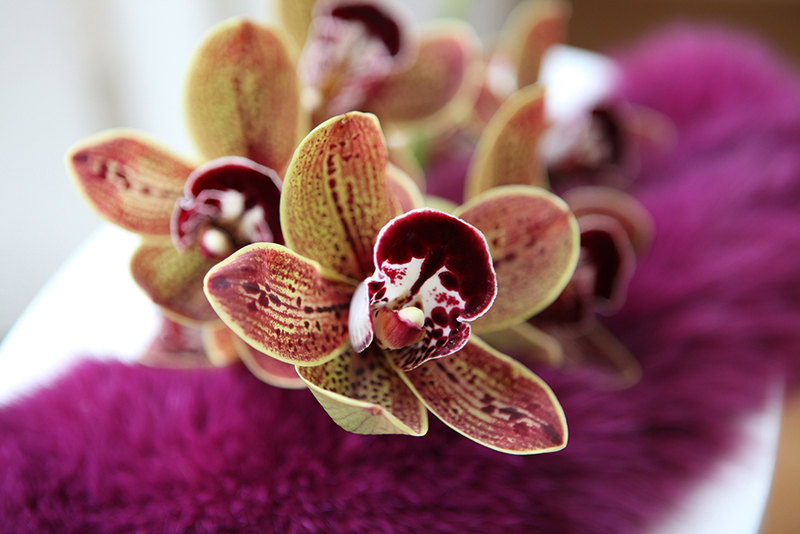 Spoil the OrchiDiva® once a month with plant food or special orchid food. Stays the OrchiDiva® outside? Then keep watering well and pamper her with a little more plant food (once every two waterings). The OrchiDiva® loves to have a plunge pool once a month. This is done as follows: take the plant with the nursery pot out of the ornamental pot and dip it in a bowl of water at room temperature. Leave the plant in the water for 5 to 10 minutes. Then let drain well and put back into the pot. During summer OrchiDiva® should not stand in a hot and sunny place. You can possibly move her outside and put the plant in a shady place. The temperature should not drop below 6ºC during the night. 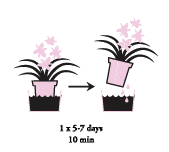 Keep watering OrchiDiva® well and give a little Orchid food once every two waterings. OrchiDiva® should be placed in a cool place in the house at the beginning of September. VIEW THE ORCHIDSINFO.EU WEBSITE AND LEARN ALL ABOUT THIS MAGNIFICENT PLANT.